As Pastor Chester Miller finished preaching and readied to dismiss his congregation at a morning worship service on March 1999, one of his church members, Victoria Smith, pulled a gun on him during the closing prayer. While it is jarring to think an incident like this could happen involving church people, the fact is that whenever people gather together, things like this happen. What is supposed to be a place to care for each other and find belonging becomes a place of division. We often approach things like church with an attitude of What can I get out of this? Rather than what can I give to Christ and others. 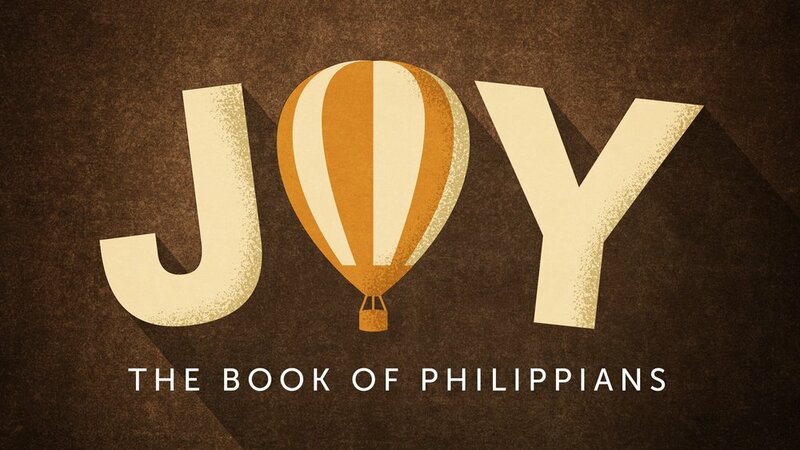 Despite what we so often see within Christian community, Jesus followers are meant to live lives characterized by joy, which is what we'll be looking at the next few weeks in the book of Philippians. Paul and Timothy forego giving their honorific titles of Apostle and pastor and instead call themselves slaves of Christ Jesus. They humbly acknowledge that they are completely open to following the will of Jesus. Paul is joyful at the Church of Philippi's willingness to work toward the spread of the Good News of Jesus. Paul encourages the Church to overflow in love and care for one another as they push each other toward a greater knowledge and understanding of Jesus' commands and to focus on building each other up for the sake of the Good News. Here it is quite apparent that Paul believes Christian community (ie, Church) is very important, yet over the past couple decades we have seen the average regular church attender drop from gathering with believers three times a week to 1.8 times a month! This isn't the problem we're tackling today; rather, it is the symptom of a greater problem. Now, rather than focusing on Jesus and on others, everything has to filter through our own selfishness. On a Sunday you may ask yourself, "Is church really the most entertaining or productive use of this 1-2 hours?" Suddenly, kids' sports, sleeping in, mowing the lawn, going on a weekend trip, or just staying home to relax may take priority over gathering to worship Jesus and encourage each other! When your focus is on yourself, happiness is dictated by your situation. When your focus is on Christ, joy is found in every situation. As you learn to put others’ best interests ahead of your own for the sake of the Gospel, you learn to value others. As you get involved in partnering together for a common goal, you are bound together by purpose. As you love one another as Christ loves the Church and lovingly help each other pursue Jesus, this will be a healthy family. When everything centres on Christ, we will care more for each other and, in turn, our unselfish obedience and care will result in more Christian joy. Identify one area where you have been pursuing your own interests at the expense of loving others and make it right. Encourage each other to become more like Jesus.